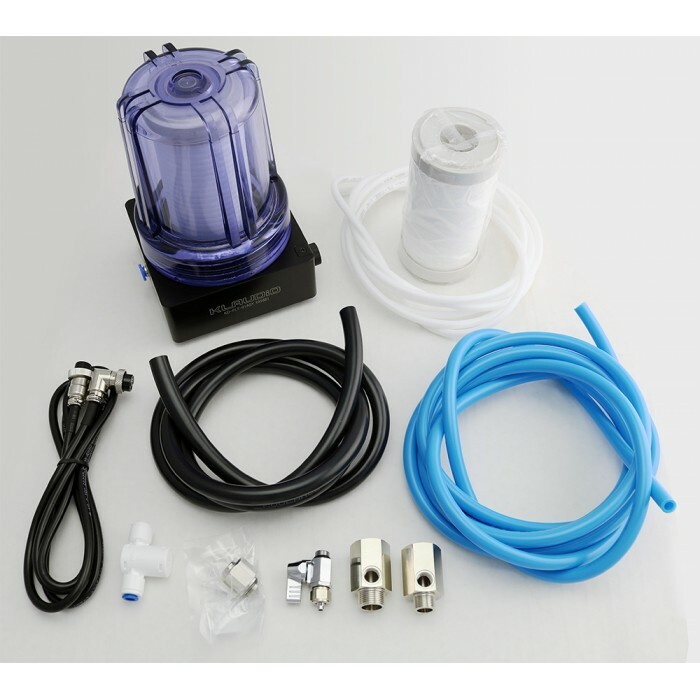 This kit allows the KD-CLN-LP200S LP vinyl ultrasonic cleaner to use plumbed building water for its source during washing cycles. 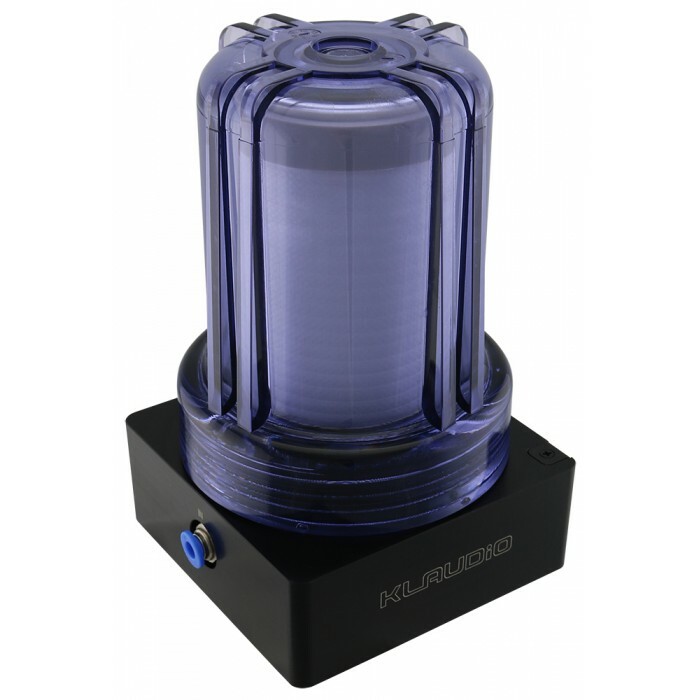 Electronic solenoid valves automatically control water filling and draining at the appropriate times. A filter removes minerals from the tap water, and an extra replacement filter core is included. No external reservoir is required when using this product with the KD-CLN-LP200S cleaner. Instead, fresh tap water (approximately 34 fl.oz., 1 liter) enters the cleaner during each wash cycle. The record cleaner should be located at least 6.5 ft (2m) from a water source and drain in order to use this product. 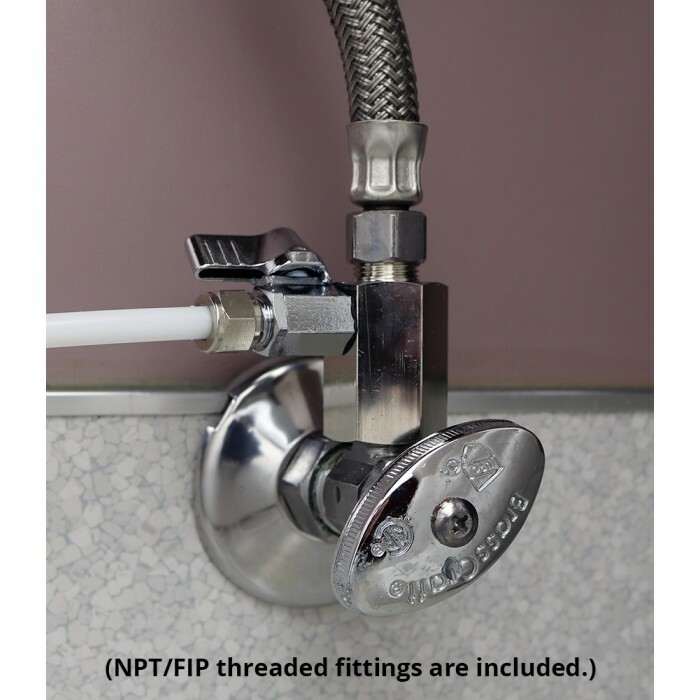 NOTE: Klaudio’s tap water kit includes a splitter to connect with 1/4-inch or 3/8-inch NPT (FIP) threaded plumbing fixtures, such as a faucet or toilet shutoff valve. 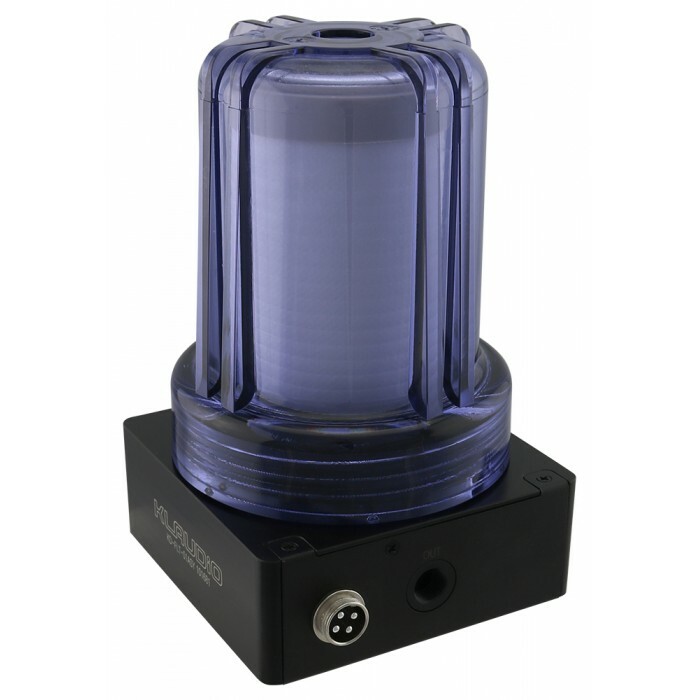 Countries other than the U.S. may require the purchase of compatible thread adapters or a separate splitter with ball valve. If inexperienced in working with water supply lines, it is recommended to have a plumbing professional install this device. Improper installation or sealing could result in leaks and water damage.